Arena MK in Milton Keynes hosted the fifth edition of The Masters from 27-29 January. The world’s top 16 competed for the 60K top prize. 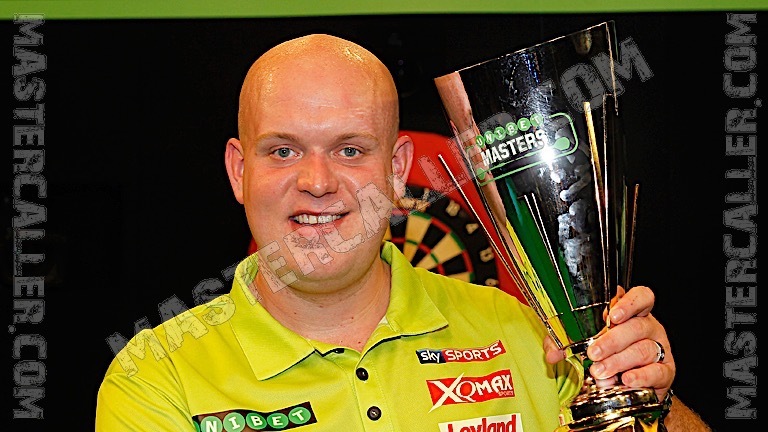 Michael van Gerwen proved yet again he is in a league of his own at the moment. A month after his second World Championship victory there was still no cure against the Dutchman. He had very convincing victories over Simon Whitlock, Mensur Suljovic, Adrian Lewis and Gary Anderson in the final. Each match the Dutchman had an above 100 average. Gary Anderson showed again that he is the best player after Van Gerwen at the moment. With victories over Benito van de Pas, Raymond van Barneveld and Phil Taylor he reached another final. But in his own words; the Dutchman is just too good at the moment. It is Van Gerwen’s tenth Major in a row he wins, a series that started in January 2016. In total MVG now has 23 majors on his CV.